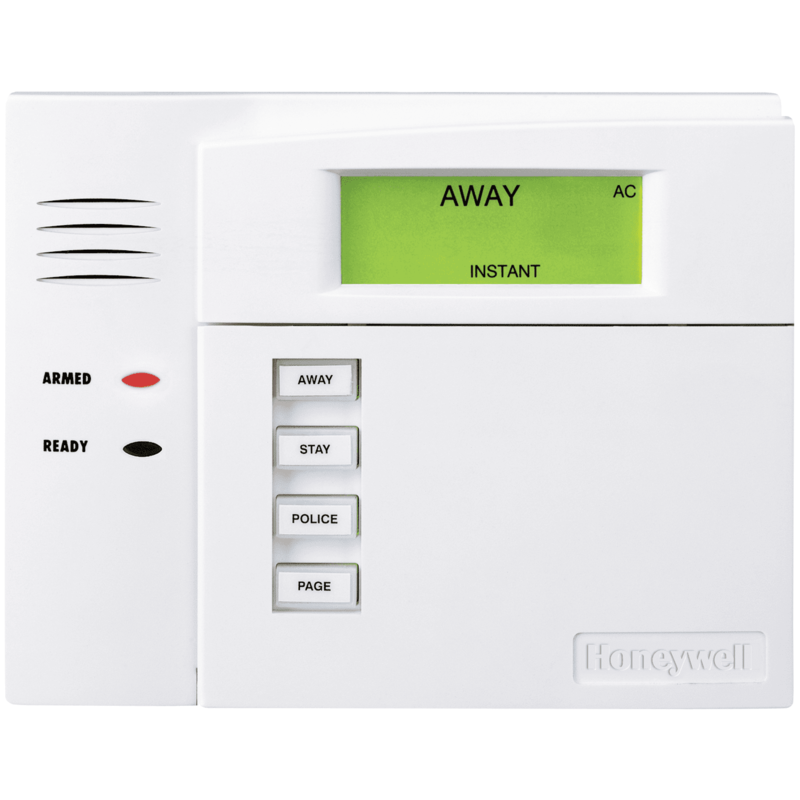 The Honeywell 6150 deluxe alarm keypad is easy to install and simple to use. The attractive white console blends perfectly with any décor and features a contoured, removable door that conceals soft-touch illuminated keys. The 6150 alarm keypad also features a large backlit fixed glass display that uses three-digit zone numbers. The oversized function keys are easily accessed even when the keypad door is closed and can be programmed for fire, burglary, personal emergencies or other operations. Colored, self-adhesive labels are included.